I adore avocados, so when I got an offer from Avocados from Mexico to post about fun avocado products, it was a natural. I mean, I've been joking with people lately about my crazy avocado fetish. I've been going through them like they grow on trees. Well, I guess they do. They don't grow on trees around here, but I've been lucky enough to see them on sale quite often in the past few weeks, and every time, I stock up. And then they disappear pretty quickly. And then (sigh) sometimes I plant the pits. I've got a pot in the living room with a bunch of 4-foot-tall avocado trees. I know they'll never grow fruit, but they're nice houseplants. 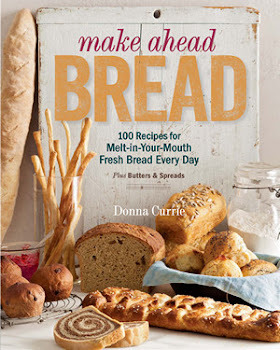 If you're an avocado fiend like I am, you can find some fun things (and FREE!) with the Share the Avocado Love Facebook app where you can get ringtones, screensavers, wallpapers, and virtual Avocado gifts. I kind of liked the wallpaper with the photo of the growing avocado. Of course, it also makes me hungry for guacamole. Mmmm.... guacamole. Lately I've been making it simple with just avocado, salt, and lime. Sometimes I'll add tomato and cilantro. Maybe some salsa on the side. I've also been using avocados in baking, including some chocolate cookies and these yummy chocolate chip cookies. 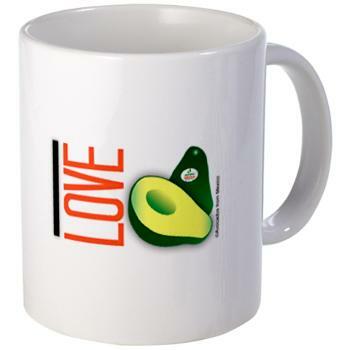 If that's not enough avocado love for you, there's an Avocados from Mexico Cafe Press store where you can find tee shirts, coffee cups, tote bags, and more. As part of this promotion, I got a certificate to do some shopping and I picked up this nifty tote. I was tempted by this coffee cup. And the aprons are pretty sweet, too. Are you an avocado lover, too? Want to win some stuff? On February 7 at 3 p.m.EST, join the #iloveavocados Twitter party with @guacgrl. There will be gift cards and CafePress gift cards up for grabs. No need to register anywhere - just follow @guacgrl or hashtag #iloveavocados.